Disruption is as much about technology shifts as it is about new business models. Even after nearly 70 years of independence, many Indians still find it hard to access banking services and financial products like insurance and credit. It is the new-age tech warriors who are reaching out to this population. 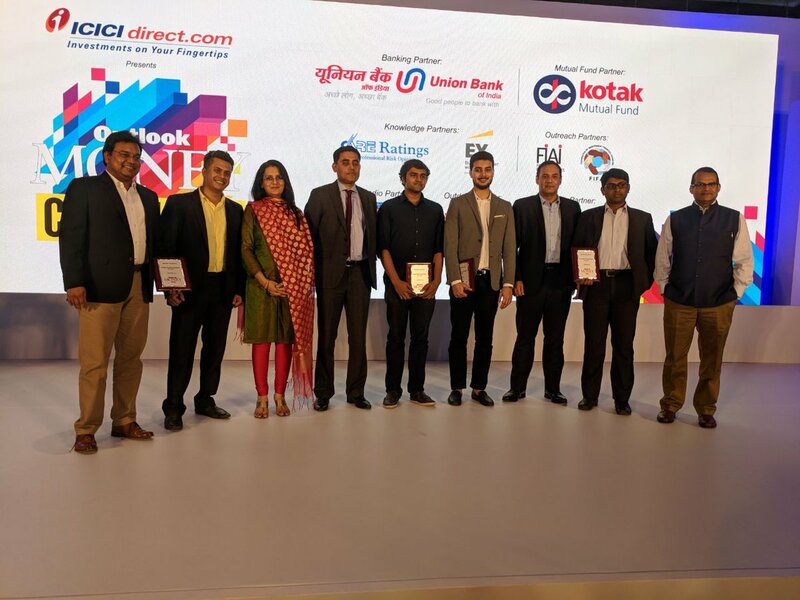 And Outlook Money seeks to recognise and felicitate these players who are building companies that can solve existing problems of the brick-and-mortar world by leveraging technology. And in order to recognise these Davids, we partnered with EY to branch out into the country to identify those companies that have the potential to become big with their models that are focused on solving problems. Outlook Money, with the help of its knowledge partner, has identified four such companies who have come up with innovative ideas that are capable of making a difference in the world of financial services. 1. The innovation bug has caught brokerages as well, with the launch of products that enable investors to bet on market ‘themes’. Smallcase is the first thematic investing platform in India. Founded in 2015, it has become India's fastest growing online equity investing platform. Smallcase is focused on democratizing equity investing through technology. This fintech is now focused on building an ecosystem of tools, applications & community to simplify investing. 2. Datasigns Technologies has built the next-generation credit assessment, lending and risk management platform named “Shubh Loans”. The platform is available through APIs and Android app white labeling. Shubh Loans is a regional language app that builds a proprietary credit score and report for loan applicants, who can then borrow from any of the banks and NBFCs on its platform. Datasigns Technologies aims to democratize credit for millions of borrowers who are not part of the formal credit system and expand the availability of fair and transparent credit. 3. Get Simpl, which is Bridging the Gap Between Credit and Payments. Get Simpl Technologies have developed an innovative product that can simplify online shopping by enabling one-click purchases and buy-now, pay-later. It’s that Simple. And that’s their product. 4. Finance is easy at Finzy. It makes entire borrowing process simple and user friendly. You can get your loan sanctioned in as little as 48 hours. Finzy is the premier peer-to-peer lending solution which connects Borrowers to the Investors who are looking for a powerful new asset class that provides fair returns.